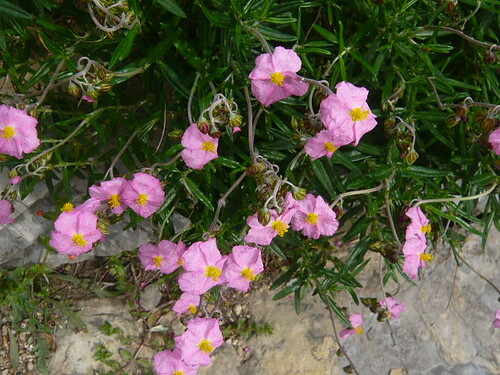 Helianthemum are related to Cistus and Halimium as part of the Cistaceae family. At only four inches tall they are ideal for growing in rockeries or on the top of walls. They provide masses of colourful blossom through summer. 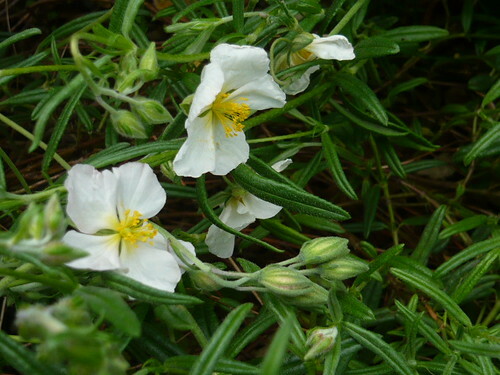 Originating from the Mediterranean they love sun and thrive in poor soil. Plants flower profusely in strong colours of red, pink, yellow and orange. They generally have an appealing golden center. I grow from seed but the plants are perennial and you could propagate a good variety from cuttings. 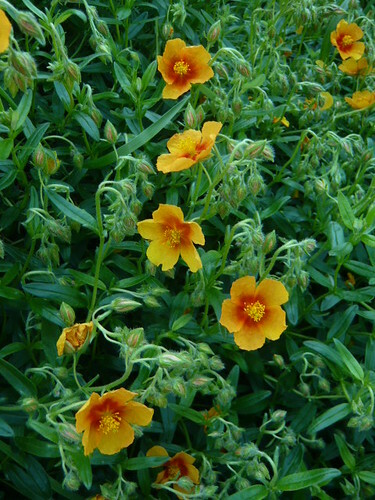 The orange variety tend to have a lusher foliage but the number of flowers can still cover an 18 inch wide plant.